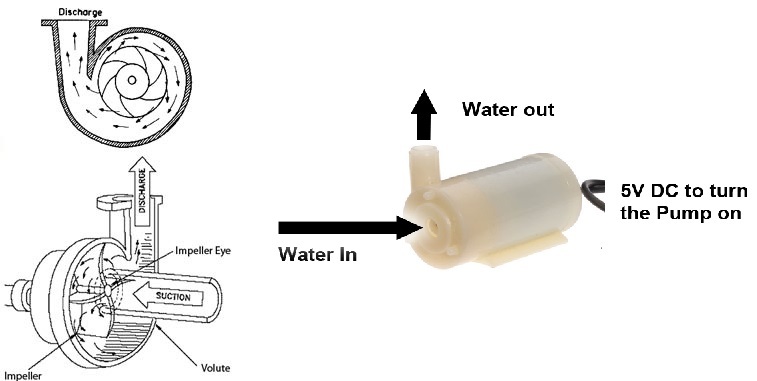 In this tutorial we will introduce you to a mini water pump and some of its applications. It is very simple to use, just immerse it in some liquid, connect the tube to the drain and connect the pump to a power supply. You can use it for irrigation, maintenance of optimum moisture in the soil or in a rocky ground for creeks and fountains. 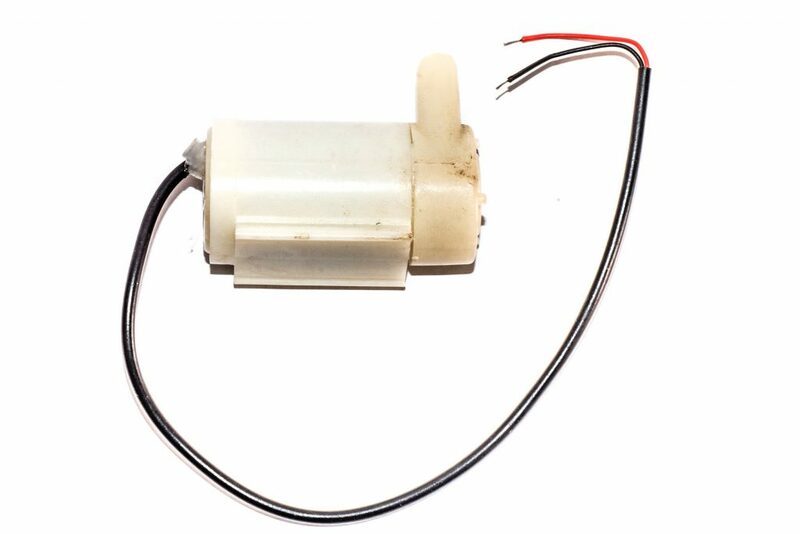 This pump is easily connected because it consists only of ground and a phase conductor, and it needs power supply of 3 to 6V. In this example we will show how to connect the pump to a switch, and as a source we will use Croduino, but we can use any other 3 to 6V power supply such as batteries or adapters. Croduino +5V pin is connected to the left or right pin of the switch, we have chosen the first from the left., then from the middle pin we connect it to the phase (red) conductor of the pump. Ground (black conductor) is connected to Croduino's GND.